Ok Tedi. Photo by Glen Barry/Greenpeace. PNG Power Limited acting managing director Carolyn Blacklock says the company does not have any power purchase agreements that involves coal. She told The National that a proposal for a purchase agreement using coal-fired electricity supplies was “unsolicited”. “This is not something we went to market for competitive bidding,” Blacklock said. The Mayur Resources Enviro Energy Park project to be built in Lae has received support from Morobe and Gulf provincial governments, and the endorsement of the Conservation and Environment Protection Agency. Mayur had agreed to a K125 million funding package for Morobe over 25 years. But it is awaiting the green light from PNG Power. Energy Minister Sam Basil recently wrote to PNG Power chairman Peter Nupiri stating that Mayur’s response to a solicited request from Blacklock should be presented to the board for consideration. He requested PNG Power to give Mayur, “being a genuine investor”, a fair chance by taking his response to the board. But Blacklock said “we are not scared about the fuel source”. “Coal is not something that PNG Power worries necessarily about doing. “If we have to do coal or gas or hydro, we do it on a basis that it is built around PNG Power’s plan which says we need this much generation at this time in this location. “We don’t go into market to do that. So why should PNG that has all these beautiful water running through its rivers, is sitting on an ocean of gas, rush down the path of dealing with salesmen from other countries who want us to buy a coal-fired power station? “They don’t have a balance sheet and they have never worked in PNG. I’m not Papua New Guinean but I’ve seen enough of this nonsense. We need to be building power stations based on true planned demand not on what somebody else thinks is our demand. “We’ve got to get this right otherwise we end up with other power projects with other power projects that are costing us too much money or are not in the right place or too much power. 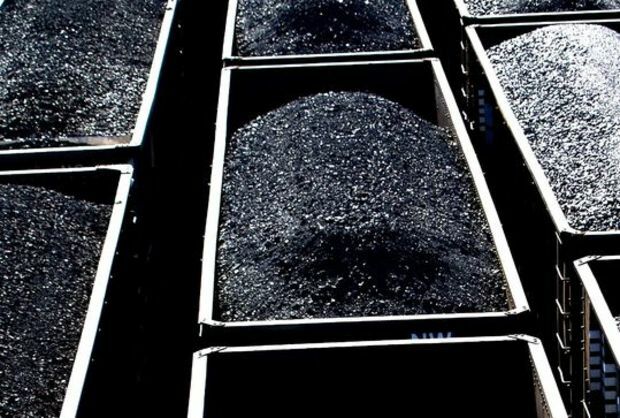 An Australian company has been granted an environmental permit to extract coal in Papua New Guinea’s Gulf Province. 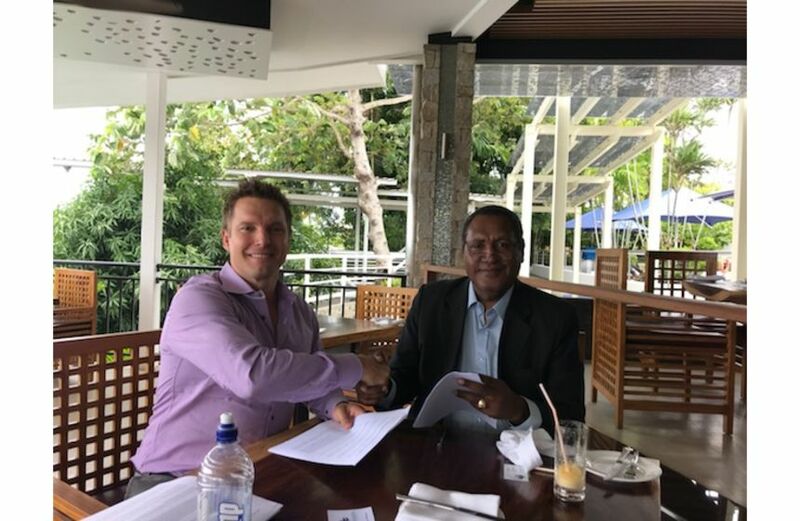 Mayur Resources has been given the green light to proceed with an exploration licence, owned by the company’s subsidiary in PNG, Waterford Ltd.
It’s the first time that the Conservation and Environmental Protection Authority (CEPA) has issued an environmental permit for coal bulk sampling in PNG to enable commercial grade shipments. According to PNG Industry News, the conditions of the permit include the submission and implementation of a robust environmental management plan. Managing director Paul Mulder said it was an exciting step in bringing PNG coal to the international market as a potential new source of energy. The company was looking to confirm suitability of the coal for use in domestic power generation. 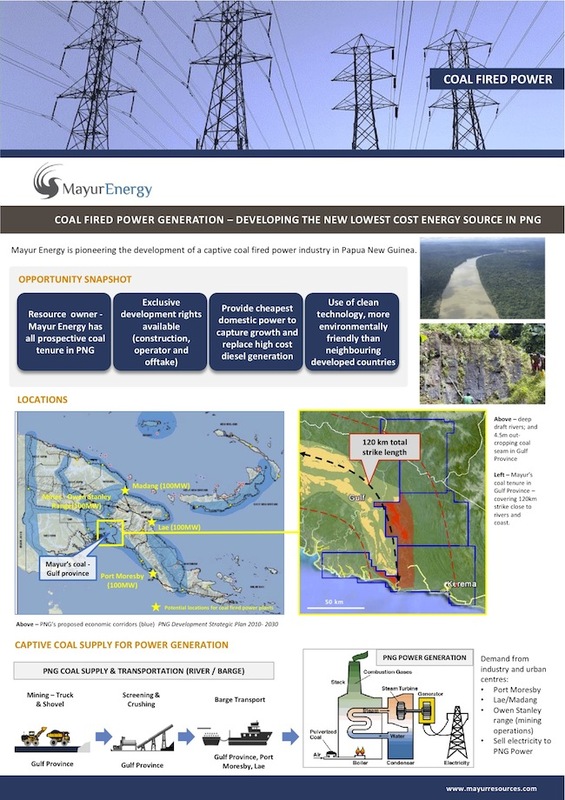 Mayur is also developing a proposed 50MW power station near Lae at the Western Tidal Basin in Morobe Province. 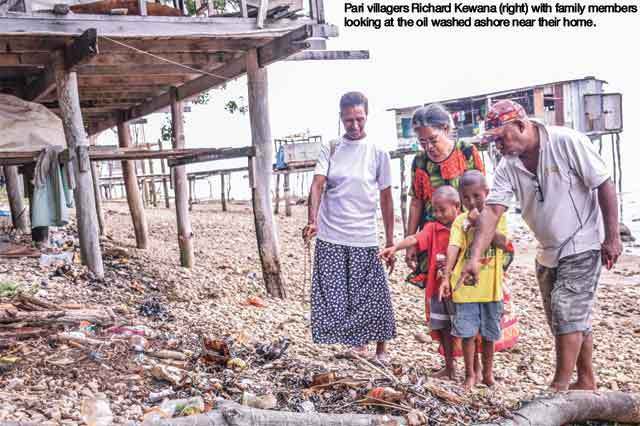 THE National Maritime Safety Authority (NMSA) is waiting for government agencies for a report on the oil spill at Pari village near Port Moresby in April, says manager Pawa Limu. 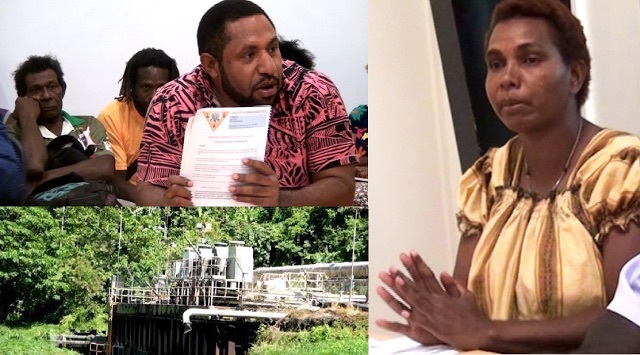 Limu was speaking to The National following concerns from the villagers who were waiting for a response or report regarding the spill on April 25, which was caused by a leak at the subsea hose connected to the pipeline that fed the Kanudi terminal facility. The oil spill had spread to the village. “We (NMSA) had a meeting with Puma Energy and government agencies on May 3 and we agreed on carrying out an independent investigation into the oil spill to identify its cause, effects, possible costs and compensation involved,” Limu said. He said that to date he was still waiting for those government agencies – the Department of Labour, Conservation and Environment Protection Authority, PNG Ports Corporation, besides Puma Energy, to get back to him. investigations into such incidents,” Limu said. He said NMSA had asked those departments to give them credible or any consultants that were independent to do the investigation on behalf of the agencies. Limu said because there was no one to coordinate the investigation process, NMSA had to take up the role. “The Department of Environment and Conservation guys have been locked out of their office for the last two months at the bmobile building. MAYUR Resource’s first proposed mixed coal power generation of 50 megawatts in in the country represents a miniscule [sic] 0.005 per cent, according to the company. 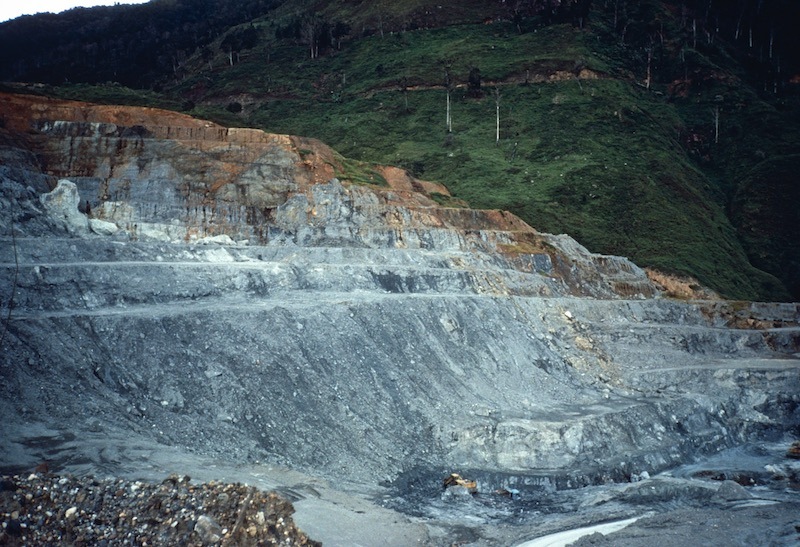 Mayur stated that the area of impact will be comparatively minor, whilst it will use simple mining techniques and no need for chemical processing. PNG will mine around 300,000 tons of coal per year while Indonesia mines 300 million (and increasing) – 1000 times more and by comparison in Queensland the recently approved Adani mine will abstract up to 60 million tons per year – one of the biggest coal mines in the world, says Mayur Resources. 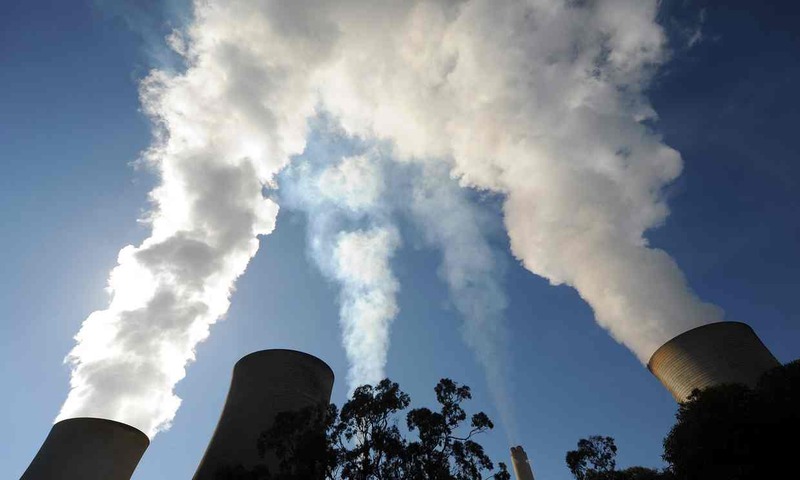 The Enviro Energy Parks (EEP) will produce 15 per cent less carbon dioxide (CO2) against diesel via the use of biomass and cogeneration by product steam use. The energy park (EEP) also reduces by 16 times and 11 times respectively sulphur dioxide and nitrogen oxide that is prolifically emitted in the middle of cities in PNG. Mayur says the EEP has been fully permitted by Conversation, Environmental Protective Authority (CEPA) as a result of being able to meet the reduced emissions stated above. “This permit represents a new benchmark for power generation in PNG with significantly tightened emissions standards against current practice. These new standards have surpassed even what is acceptable in our first world neighbor Australia,” Mayur said. The EEP has access to domestic (in country) vertically integrated coal supply as well as biomass and solar. (delinking power costs through vertical integration). “The key here is priority to the power station has been contracted and will benefit the people by keeping energy costs lower. The vertical integration allows the coal price to be decoupled from international energy markets so that a far lower coal price is provided to the power station that directly benefits the people – this is responsible vertical integration where the people get the benefit from the resources,” said Mayur. Resource development, ownership, and fair and equal sharing of benefits accrued from development projects such as mining and oil and gas remain a biggest challenge yet for Papua New Guinea 41 years on as an Independent country. And the people of Londolovit on Lihir island, New Ireland province are among one such group of resource owners who are still searching for a correct matrix to balance the scale. They own the traditional Londolovit river where Newcrest Mining Limited (NML) operator of the Lihir Gold Limited (LGL) extracts water for its operations since 1995. Their fight is three fold between LMALA (Lihir Mining Area Landowners Association) who are owners of the “gold”, LGL, and State. State to acknowledge them as original and traditional owners of the Londolovit river and not State as stipulated in the Environment Act 2000 so that State to create a separate facility (trust account) for them to share with State all monies paid to State by LGL as issuer of water permit and “owner” (in their stead) of Londolovit river. It has been four years since the search for answers began. Delegation after delegation and costly trips between Lihir and Port Moresby were taken only to become a “football” kicked here and there between MRA (Mineral Resources Authority) and CEPA (Conservation and Environment Protection Authority) each shrugging off liability and responsibility alike over the Londolovit water resource owners’ issue. It was in February this year after LGL refused to become a party in a new proposed Londolovit river water use and impact agreement that prompted the Office of the Chief Secretary Isaac Lupari (Office of the Prime Minister and National Executive Council) to show some sign of interest and intervention. Directions were issued to CEPA to re-look at the issues of the Londolovit community. This also prompted the Minister for Environment, Conservation and Climate, Hon. John Pundari to intervene and getting CEPA off its comfort zone at the Beemobile building at Gordons. LGL had refused to become a party to sign on a new proposed water use and impact agreement that will supersede the obsolete Supplementary Agreement of 1998 which only cater for a minimal payment of K300,000 per annum for environment impacts on their traditional Londolovit river where LGL has a weir which extracts water for its mining operations. The creation of the Londolovit Sagomana Association (LSA) through the Investment Promotion Authority (IPA) on 16th February, 2016 was a breath of relief and new lease of energy and confidence to further pursue their long standing water fight. On the 09th September, 2016, LSA Chairperson, Ms. Roselyne Arau led a small delegation to Port Moresby and held talk with Minister Pundari. Among others, the K113 million claim against LGL for water extraction “over and above” permitted rates were discussed. Failure by State (CEPA) to effectively regulate and monitor water extraction by LGL according to the conditions of the water permit was also discussed with the view for State to admit liability for negligence. The good Minister agreed to look into these outstanding issues and sort these issues before Christmas out once and for all. Prior to doing so, he arranged for an advance team led by CEPA’s Deputy Managing Director, Mr. Dilu Muguwa to travel to Lihir for fact finding and for a report to be presented to him within two weeks. The advance team travelled to Lihir on October 11, met with LSA on October 12 and went through a total of nine (9) terms of references (OR) set by Environment Ministry and returned to Port Moresby on October 13. As a State Team comprising officers from State Solicitor, MRA, CEPA, and department of PM and NEC is set to follow suit on October 24, the people of Londolovit were grateful of Minister Pundari and Chief Secretary, Ambassador Isaac Lupari for their interventions and are hoping for better soon. In its six page written submission to CEPA’s advance team, LSA stated among other issues and demands that: “Water and Gold are two different resources. Under the existing benefit sharing arrangements such as the Integrated Benefit Package (IBP) only “gold” resource owners through LMALA tend to enjoy all the benefits compared to “water” resource owners and rest of the impacted surrounding communities on Lihir island. Although water remains the single most important resource needed to process gold, this fact has been long overlooked since the start of the mine in 1995/1997. “The IBP is subject to jurisdiction of the LMALA management which experience so far has proven that LMALA was only bias and lack the virtue of ‘equal and fair sharing’ of benefits to the water supplying community of Londolovit and or other impacted surrounding communities. Perhaps this is to do with the mineral resource development regime in the country where “gold” resource owners are given more recognition by State and developers than “water” resource owners in mining activity areas in PNG. “Poor management resulting in recent investigations (Business Audit) into the affairs of LMALA can only further confirm the general feeling of mistrust for LMALA management and its executives among the impacted communities on Lihir island. “What we want: The formation of the Londolovit Sagomana Association (LSA) which was registered with the Investment Promotion Authority on the 16th February, 2016 was an affirmation for succession away from the umbrella of LMALA who has failed to adequately stand for and in the interest of the Londolovit water resource owners since 1997.
to act, at all times, on behalf of and in the interest of the Members and the Association as a mining impact community. In a letter dated 14th March, 2016 to Coordinator of the Lihir Agreement Review (LAR) committee, LSA blatantly stated: “We intend to pursue our own interest as “water” resource owners in the Lihir gold project for a separate benefit package of our own. We want to have nothing to do with LMALA and the LAR process. LMALA and LGL to honour all outstanding benefits owed to Londolovit under IBP. MRA (Mining Warden) and LGL to review and honour all outstanding benefits/compensation owed to Londolovit under LMP 34 and ME 73 tenements. Option A – State to create a trust account where payments receive from LGL for the “use” of water is shared with Londolovit as traditional (original) owners of the water. The metamorphosis ‘State’ is supposed to be “custodian” to properties of traditional and customary landowners and not itself “owner”. The sacrosanctity of customary/traditional properties rights is in this way lost and stolen by this beast forever. Option B – State to intervene and impose on the LGL to review its decision why it refused to become a party to the new proposed water agreement by LSA (Londolovit). This proposed water agreement stemmed from Recommendation # 4 of the CEPA sanctioned Londolovit River Environmental Audit Report –August 2015 by Moroka Pty Ltd.
Option C – All State, LGL and LSA to become parties to an all new proposed water agreement over the Londolovit river for its use, impact, and benefit sharing with the view to reaching a long lasting win win situation for all parties in future. State and LGL to resolve to an amicable outcome and pay K113 million as compensation to the Londolovit people for over extraction of their water illegally. Copy of the Business Development Audit Report be provided to us forthwith for perusal and record. Until Londolovit is more involved and participating from the benefits from the Lihir mining operation Lihir Agreement Review (LAR) is insignificant to the Londolovit water resource owners at its current stage. At the time of meeting (October 12) in Lihir, the LAR process attended by a State Team, LMALA, and LGL was in progress in Kavieng without LSA attendance after request by LAR coordination team was turned down.